In today’s competitive manufacturing economy, you need to increase your efficiency to stay ahead. 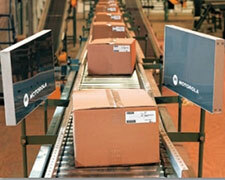 POSDATA offers supply chain management and data collection solutions to help you to improve operations and save money. Whether you need a wireless or a batch data collection solution, POSDATA has the right solution for your needs. Radio Frequency ID systems have a multitude of uses in the manufacturing environment. RFID portals can be placed on warehouse doors to validate the receipt and shipping and goods and containers. An RFID enabled forklift verifies pallet content and location, and a handheld RFID scanner can locate assets and scan exceptions. Scanners can also be placed on the conveyor belt to verify and record contents. 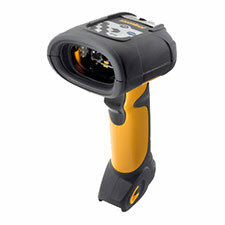 POSDATA’s experts have been selling and supporting barcode scanners for over three decades. Today there are more scanner options available than ever. Particularly useful for manufacturers are rugged scanners like Datalogic’s PowerScan series and hands-free scanners like Motorola’s wearable ring scanner. 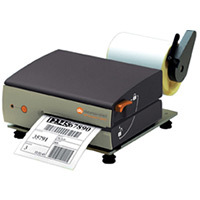 Some barcode printers, like the MP Compact Mobile printer from Datamax O’Neil, can be mounted on the side of a conveyor belt. In this configuration, users benefit by having the labels printed at the point of use at a fraction of the cost of a label applicator or print & apply. POSDATA offers the leading software to support your bar code printing, RFID compliance, data collection, and supply chain requirements. 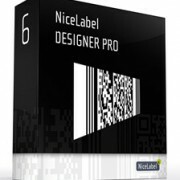 We recommend Nicelabel Designer Pro, Seagull Scientific Bartender, and Teklynx Matrix. Contact our representatives to discover the differences between these options and identify the best solution for your manufacturing facility. 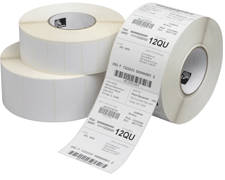 POSDATA offers a wide variety of barcode labels in all size and shapes. Over the years we have developed relationships with select industry label and ribbon suppliers based on their availability to provide superior quality products and material to meet our customer needs. We also offer a variety of adhesives to meet your application requirements, including permanent and removable. Your equipment (barcode printers/RFID systems/etc.) can be repaired and maintained right at your location—eliminating the need to take it offline, box it up, and send it to our depot service center. We will send a service technician to you, no matter where you are in the U.S. We offer annual contracts, flat-rate contracts, time & materials support, and warranty management programs that are customized to your needs. For quick replacement of equipment, POSDATA’s Advance Exchange service is essential. 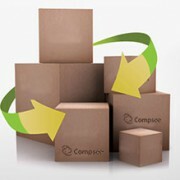 With one call or web click, we send your replacement out immediately. Upon receipt, simply place the defective unit in the same packaging for return and repair. The unit is repaired before placing it in your asset pool. It is pre-configured and tested, ready for the next time you need it.